Stop in on Saturday, April 20th to search for Easter eggs hidden around the store, with some sweet treats inside! Then stick around for board gaming from our extensive library! We'll have Easter eggs hidden in the store with coupons, snacks, and more! Rewards are max two redeemable per customer. 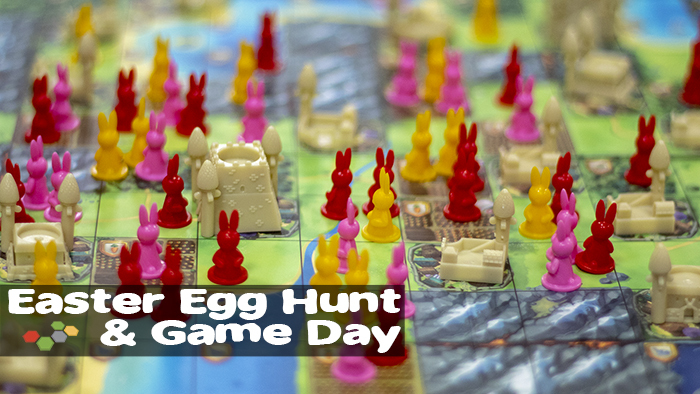 Then settle in with a good board game for some tabletop fun, and enjoy double Loyalty rewards all day!